You got several choices if you want to ski rigth now, Zermatt, Val Senales, Saas Fee, Timberline, Molltall or Hintertux. After an unexpected big snowfall in late July, August was a largely warm month across the Alps reports www.skiinfo.co.uk. The number of ski areas open for summer skiing and boarding was its lowest for more than 25 years at only nine, along with Timberline in Oregon. Glacial ice, where not covered over, was exposed in places as snow cover melted away. Seven ski areas have however made it through to September and they should still be open - depending on what the weather does - and joined by more glacier ski choices in Austria at least, by the end of the month. Austria's glaciers received a healthy snowfall at the weekend but currently only the Molltal and Hintertux glaciers are open and scheduled to remain so. Despite the new snow, sunshine and warm temperatures most of the rest of the time have reduced snow depths overall. 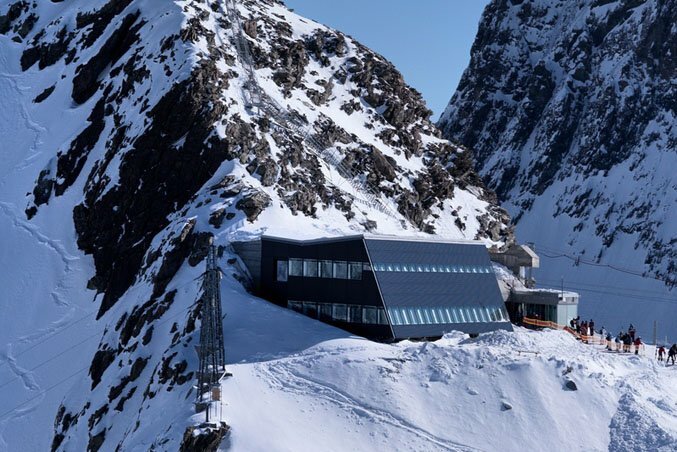 They're scheduled to be joined by the country's highest slopes, at Pitztal, with a new lift and the surety of all-weather snowmaking from Israeli company IDE - at the end of the month. Others that may join them include the Stubai glacier as well as the Kitzsteinhorn above Kaprun and Solden's glaciers. In Italy Passo Stelvio and Val Senales are still open, in Switzerland Saas Fee and Zermatt. There will be no skiing or boarding in France this September as Tignes decided to close a week earlier than planned when its base dropped below 30cm. It still plans to re-open on 1st October. Timberline in the US is scheduled to close for a few weeks in mid-September before re-opening, it is still benefitting from the huge snowfalls on North America's West coast last Winter and Spring. In the southern hemisphere the 2011 ski season is due to start winding down in September. First to close is likely to be Southern Africa's only ski area, Lesotho, which plans to end its season on September 5th, although it still has its maximum kilometre long slope 50cm deep in snow. Conditions are generally good in South America where many resorts saw a slow start to winter in June and July but consistent if not as yet ‘epic' snowfalls since. Australia which has had an epic winter by the country's standards with one of the snowiest ever starts to winter and most resorts still sitting on at least a metre snow depths at the start of September.